The Dalat Bus Station was located at No.01 To Hien Thanh Street, Ward 3, Dalat City. 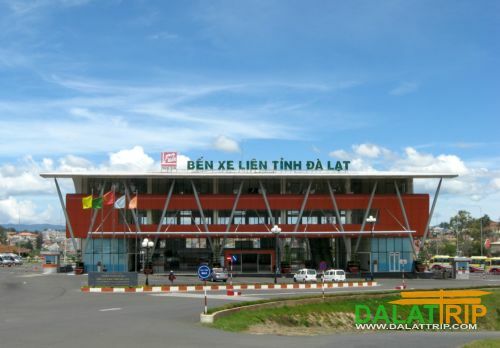 The station where the buses from all province of Vietnam have the arrivals and departures. For quick trip, you can have your meals at the canteen in the campus of Dalat Bus Station. The meal and price can be reasonable. hi, u pick up hotel to bus station? Hi is there a way to get from the bus station to the airport? I’m travelling to Da Lat bus station tomorrow morning and was wondering if there is a locker at the bus station or near by that I could put my rucksack in for the day? I’m going to Da Lat on Feb. 17 with Phuong Trang. Do they have free shuttle service from bus station into town? I would like to travel to Ho Chi Minh City. Could you tell the latest departing (overnight bus) time, travel duration and price for me, please. can walk from bus station to dalat town or not? 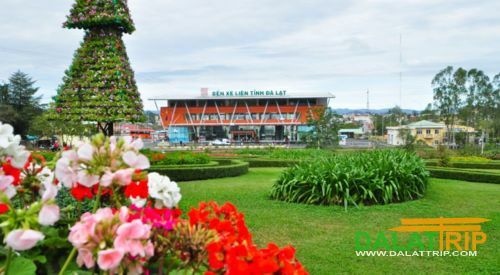 Hi, I’m travelling from Dalat to Nah Trang on Sunday 6th April. I’d like to travel about 9 or 10am. Are there buses at that time? Also, can I purchase the ticket when I arrive at the bus station in Dalat or must I order/book before hand? What is the cost for a return ticket? Hi, you are easy to purchase the return ticket once you arrive in Dalat bus station, the cost is the same way. hello, could you tell me, what’s the best way to get to/from bus station to hotel? should we get a taxi or mai linh/phuong trang have some hotel pickup/drop off services? Mai Linh or Phuong Trang has the transfer service with free of charge. For pick-up: if you like to save your time you should catch the taxi in order to come the Bus station 10 minutes before bus departs. In case you have the transfer service of Mai Linh or Phuong Trang, they will pick-up you quite soon around 40 minute before bus depart. For deliver: It’s better to have their transfer service. Please can you send me the times add prices of busses to Hoi An. Do you run a sleeper bus on this route? Dalat Bus Station has no bus to Hoi An. However, you can cacth the bus from Dalat to Danang, and drop you at Ngã 3 Vĩnh Điện, then catch the taxi to Hoi An town (around 10km). Dalat-Danang route has 2 route per day (11:00AM and 04:00PM).